The Eurasian Economic Union began discussions on having a privileged trade agreement with Iran at the initiation of Armenia, Deputy Minister of Foreign Affairs Shavarsh Kocharyan said during Parliamentary debates of the 2017 state budget draft, in response to MP Samvel Farmanyan’s question. “When we felt that the sanctions against Iran might be cancelled, we immediately initiated this process. Armenia formed a corresponding working group, and the works were implemented”, he said. Kocharyan says it’s no coincidence that one of the sessions of the working group was held in Iran, and the next one in Yerevan. 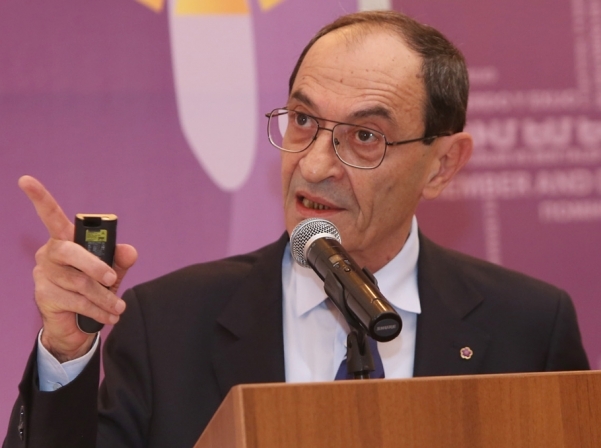 “From this point of view, we as initiators, as a member country of the EEU, which has a border with Iran, are really interested in cooperation”, Kocharyan said. He added that during the discussions over the agreement, Iran holds separate talks with various member states over different products. “Naturally, we will seek to have maximum privileges in terms of export of products, because the customs duties are high in Iran, since it maintains its domestic market in such way. Being under sanctions, Iran appeared in a situation of creating sustainable economy and is strictly maintaining its domestic market up till now. These negotiations are quite difficult, however we expect to have some results both in terms of bilateral cooperation and the expected agreement with the EEU”, he said.